MTS to Offer Free Wi-Fi At Major Railway Stations in India! The railway budget which was released in the month of February this year stated that over 400 railway stations will have Wi-Fi facility. And now, it seems that the railway department is taking steps to make it possible by the end of third quarter 2015. Not all stations might get internet connectivity, but yes, the major junctions and the busiest stations are expected to get the Wi-Fi services. The service will be rolled out under the MTS brand, who have been primarily offering CDMA based data services since 2008 (when first released in India). However, over last couple of years, they have not been able to get the kind of traction expected. To access free MTS internet on Railway stations, users will need to activate Wi-Fi on their devices, open a page christened Indian Railways MTS Wi-Fi, from where they can go online. The company is looking forward to offer free Wi-Fi services in all the metro trains in Gurgaon. It will also offer its services at the stations where the company does not offer CDMA services of MTS brand. A Sistema Shyam spokesman confirmed the Wi-Fi services pact with the railways, adding that the company has concluded all regulatory formalities for acquiring a pan-India category-A ISP permit. 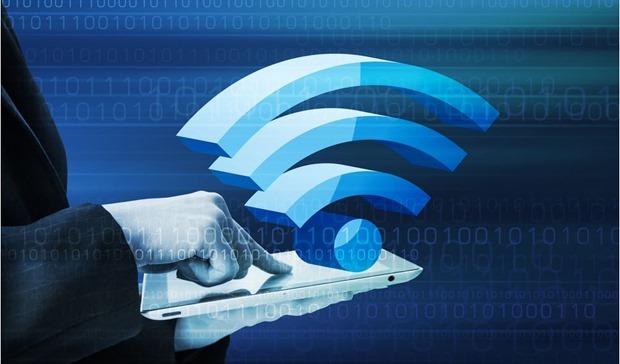 The travellers who start their journey from the stations such as Mumbai CST, Howrah, Ahmedabad, Varanasi, Agra, Ahmedabad, Lucknow, Chennai, Pune etc will soon be able to use internet via Wi-Fi on their devices through MTS Internet. MTS or Indian Railways have not officially announced which and how many stations will be part of this project, one can safely assume that stations at Metros and Tier 1 cities as well as major junctions to be part of the project. The government is expected to provide at least one station in every state with such services. Free Internet For How Much Time? We wish it could have been for free as long as we use! But the MTS Internet will offer free Wi-Fi for the first 30 minutes only. That might be enough to go through your important emails, check your social media profiles or even read the trending news on trak.in :). The MTS WiFi internet can be used on your laptops, mobiles or tablets. There is no such confirmation about the charges post the 30 minutes of usage. We will update you as soon as we have some confirmation on the rates! Zomato Online Food Delivery Has A Twist, Higher The Rating, Lower The Commission! MTS do provide free WiFi service at Howrah station one of the busiest stations in the country but the speed is very moderate and inconsistent .Maximum speed up to 150kpbs and the very next moment the speed dips down as low as 20 or 30kpbs..And it is not easy to connect either…and the data limit is near about 100mb..
And I think it is the best way of advertising ,instead of going by the traditional way ,as in this way customer actually will get to use its service. A very useful to customers they can check their reservation status instantly ..